Baby Has Bowel Movements At Night - Change Diapers Or Not? Home > Baby Helpline > Baby Poop Questions > Baby Has Bowel Movements At Night – Change Diapers Or Not? 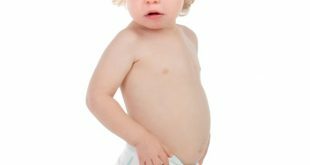 Baby Has Bowel Movements At Night – Change Diapers Or Not? My one-year old baby has bowel movements early in the night. Should I change her diaper at night if I notice that she has pooped when I peek in? She poops just after she’s gone to sleep, but doesn’t wake to complain about it. Change A Poop Diaper At Night – Yes Or No? Poop, on the other hand, is a whole different story! 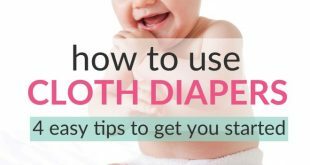 Since poop may quite rapidly lead to severe diaper rash, I definitely think you should change the diaper if your baby has pooped at night. The older the baby, the higher is also the risk that the child will stick his or her hand into the diaper to scratch for example, which can become quite disgusting. Having to wake up a baby at night is NOT fun, when we strive so hard to make our little ones sleep through. But if your daughter just fell asleep, she might be sleeping really hard, and if you’re lucky maybe you can change the diaper without waking her up. Have you tried that? Check first if your baby is in deep sleep by lifting a leg and see if she reacts at all. If she doesn’t, chances are that she is in deep sleep and the risk is a lot lower that she will wake up by the diaper change. If she is not in deep sleep, consider waiting sime 10 minutes and see if she is in deep sleep then. Change the diaper in the bed if at all possible. But don’t do it if you risk soling the bed. In such case, try to arrange with a changing table really close to the bed instead. Use a sleep bag instead of a pajama or blanket. There are sleep bags with zippers that open at the bottom first, so that the sleep temperature for the baby is almost unchanged during the diapering. Also remember to prepare well in the evening. Keep wipes, diapers and so on close to the bed and also get yourself a night lamp. To make her stop pooping after going to sleep, consider giving her a last feeding earlier and maybe she’ll get her pooping done before falling asleep. Here is another discussion among parent with babies that poop at night. Some babies don’t mind being woke up to have a diaper change, but some really do. If she doesn’t mind it’s probably best to change her to avoid rashes etc. But if you find she has a really hard time going back to sleep, with a lot of crying and fussing you might try coating her bottom with desitin or another thick diaper rash cream and just waiting till morning. Changing the contents of her meals might help a bit too. Try yogurt or fruit earlier in the day to facilitate a bowel movement. Both very helpful; thanks for your replies. I’ll wake her. She appreciates the hygiene. I have a 1 year old and we change him right before he goes to bed and again if he wakes up in the middle of the night (which he doesn’t much anymore) and if not then, first thing in the morning. We want him to be able to soothe himself back to sleep so we do not disturb him just to change his diaper and we haven;t had any problems with diaper rash from doing so.